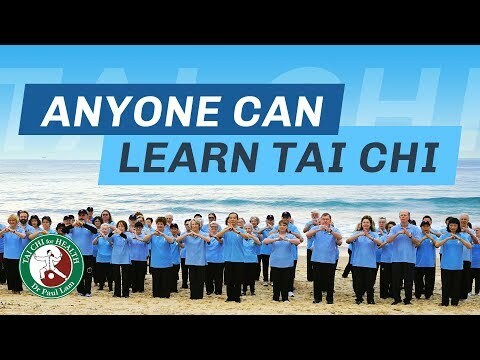 Dr Paul Lam A subtle variation of speed within a tai chi movement after you went through the phrase of acquiring the evenness of your movements will help to improve your tai chi further. Last month I have tried to “translate” essential principles into easy to understand terms. This month I will expand one point further. Do your movements slowly without stopping. Make them continuous like water flowing in a river. Don’t jerk. Maintain the same speed throughout. Essentially the control of your movement in a more advanced level can be viewed as the evenness of the speed rather than in the same speed. In Chen style, when there is fastness intermixed with slowness, the force delivering movements (fa jin) require faster speed. Within all variations of the speeds in this style, there is evenness within them. This evenness within different speed is the key to cultivate elasticity inside your force. In Yang and Sun styles where most movements appear to be in the same speed, at closer examination there are almost inperceivable differences between parts of the movements. At the end of each movement, the classic says there seems to be a stop, but no stop. What it means in practise is that at this point there is a variation of speed, which might seems to be a stop but not really a stop. At the end of most movements it is usually a fa jin moves. The nature of all tai chi movements is essentially to gather energy and deliver it. So breathing in as though you are drawing a bow to store energy and breathing out to shoot the arrow or delivering the energy. The storing and delivering of energy in constant alternation is natural and necessary. So as the variation of speed. At the beginner’s phase to execute the same even speed throughout a movement train you to control your mind and body coordination and integration. Later on the subtle variation of speed enhance your inner force. When you performing any movement, try to be conscious of storing energy and express it at the end of the movement, this will slow down the storing phase and speed up in the delivery phase. For the softer styles like Yang and Sun’s this should be done very subtly. It is also important to be aware of not stopping, let the force bounces back up like a ball travelling at the bottom of a curve which smoothly and automatically moves upward in a curve to generate new force. This almost imperceivable variation of speed within one movement is the key to the regeneration of power. Think of the tai chi symbol, when yin thins out, the curve leads to yang, then complementary yin yang energy causes the continuation of power. In conclusion: a subtle variation of speed within a tai chi movement after you went through the phrase of acquiring the evenness of your movements will help to improve your tai chi further. At the beginning of a movement, slow down subtly to gather energy and speed up a little to express energy delivery, but take care to fully expressed the complete movement, not to cut short and hurry into the next move. At the same make sure you don’t stop, thus ensure the continual flow of energy.